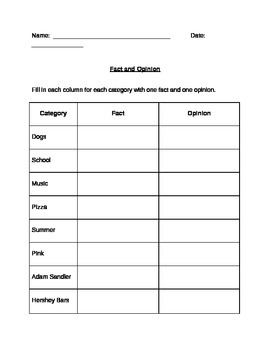 This worksheet can be used as an assessment tool, homework sheet or as a introductory worksheet to fact and opinion. Students are provided with 8 words. For each word, they are to write one fact and one opinion based on their own knowledge and views.